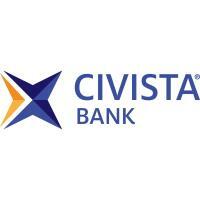 Civista Bank is the banking subsidiary of Civista Bancshares, Inc., a financial services holding company with assets of approximately $2.1 billion headquartered in Sandusky, Ohio. For 135 years, Civista has provided banking services and today serves the needs of consumer, business, mortgage and wealth management customers with locations throughout Northern, Central and Southwestern Ohio, Southeastern Indiana and Northern Kentucky. To learn more, visit www.civista.bank.